Balvarran has that middle of nowhere feel yet within twenty minutes you can reach either Pitlochry or Blairgowrie. Pitlochry (11 miles) lies on the River Tummel and ever since Queen Victoria’s visit it has developed into an increasingly popular place for visitors. The town has retained many attractive stone-built Victorian buildings and a good number of the shops benefit from unusual cast iron canopies which enable comfortable window shopping whatever the Scottish weather hurls at you. Blairgowrie (14 miles) offers just about everything from a large superstore to small delicatessens. Country sports enthusiasts will find it hard to pass by without popping in to James Crockart & Son, one of the country’s oldest and best gun and fishing shops. Ice creams from the Dome Cafe, formely Vischoccis, are not to be missed. Perth (30 miles) also referred to as the Fair City, is steeped in history and well worth a visit. Located on the banks of the River Tay the site of the city is known to have been occupied more than 8,000 years ago. It’s a small, attractive and very ‘walkable’ city with countless places of interest, cafes, shops and museums. The Perth Museum and Art Gallery and The Black Watch museum are two cultural highlights whilst those looking for sporting activities can head to the racecourse or the ice rink, where you can try your hand at curling. 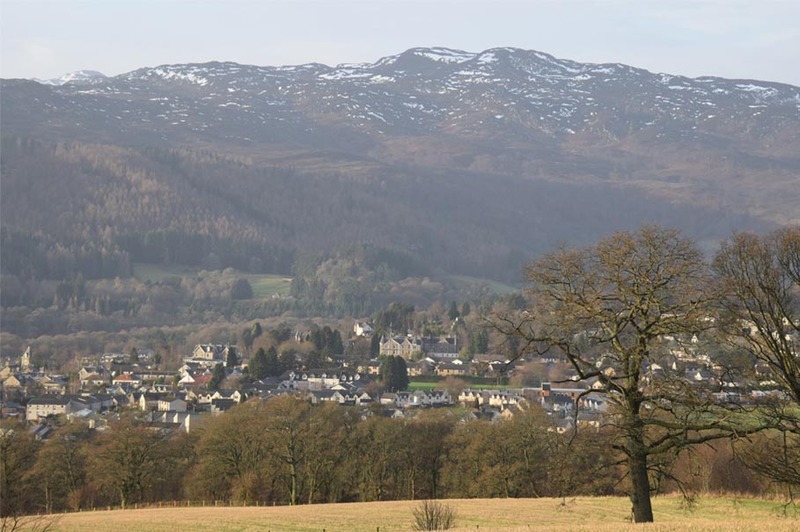 Aberfeldy (24 miles) was first made famous by Robert Burns but more recently has become known as Scotland’s first Fairtrade town where retailers and attractions throughout the area do their best to promote Fairtrade, organic and environmentally friendly products. Located at the upper reaches of the River Tay the town is just six miles from the eastern banks of Loch Tay, a scenic playground for sailors and watersports enthusiasts. Dunkeld (23 miles) is a beautifully preserved town with a lively arts and music scene. Beatrix Potter, who was a frequent visitor, is said to have been inspired to write her tales of Peter Rabbit during her many countryside walks in the area. Kirriemuir, (28 miles) known locally as Kirrie, is perhaps best known for being the birthplace and childhood home of the author JM Barrie, the creator of Peter Pan. You can visit Barrie’s birthplace and a charming statue of Peter Pan.